25 February 2014 | The Daily BLAM! Just watched this on "American Masters" and all I've got to say is: What a great documentary on a great man! 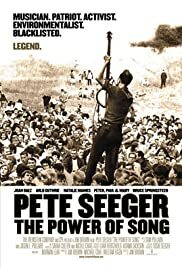 What a chronicle of Seeger's journey in music and activism from playing and riding with Woody Guthrie to going overseas to getting married to singing first with the Almanacs and then The Weavers to getting blacklisted for his views on the public stage and network television to getting invited on the Smothers Brothers show and being allowed to sing the anti-war song "Waist Deep in the Big Muddy" to having annual concerts on saving the Hudson River from pollution to getting various awards late in his life (like the presidential medal from Bill Clinton and the Kennedy Center Honors) to just enjoying life, this is one of the most life-affirming and enjoyable music documentaries I've ever seen. 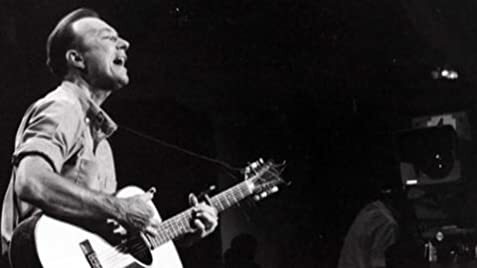 As another one of his songs goes, "To everything turn, turn, turn"...indeed!